CS:GO is back for the Summer Season! The Summer Season of the ESL Premiership powered by Intel is set to begin – and, for the first time, we are offering three seasons of riveting CS:GO action in a single year for the UK and Ireland! Ten teams will compete in the ESL Premiership’s Summer Season, battling for their share of a £13,000 prize pool and a qualifying spot in the Mountain Dew League. The group stage kicks off Monday 18th June and runs until 16th July, with each team playing two games every Monday evening. Matches are set to start at 19:00 BST live on twitch, with the top two teams from each group qualifying directly for the finals and the next six teams qualifying for the playoffs. This playoff phase of the high-octane competition will run on Monday, 23 July to 30th July. Best-of-3 games will be played over the two Monday nights as we find the final 2 teams who play in the finals. The ESL Premiership finals will take place over the weekend of 11-12 August broadcast online by the full team. One of the ten teams that will be playing in the ESL Premiership’s Summer Season will qualify for the Mountain Dew League (MDL), which gives squads from Europe and North America the chance to earn a place in ESL’s Pro League. The ESL Premiership’s seventh season saw Epsilon defeat Vexed Gaming 3-0 in a blistering competition at ESL Studio One in Leicester. That victory saw Epsilon retain their spot in the Mountain Dew League - and Vexed’s runner-up spot saw the squad make the step up to the MDL for season 28. James Dean, Managing Director of ESL UK, is just as enthused for the new season. "CS:GO is a hugely popular game in the UK", said Dean. "We’re continuing to provide the best UK competition for players and teams thanks to a highly competitive schedule and the amazing opportunity to step up to the MDL. There’s never been more to play for in the UK’s Counter-Strike scene." The ESL Premiership is powered by Intel - and the company is excited to be involved once again. "Intel is proud to be the headline sponsor for the ESL UK Premiership in 2018", said Scott Gillingham, Intel’s UK Gaming and Esports Lead. "Intel has been supporting gaming and esports for fifteen years now – and we’re still laser-focused on helping develop the industry. Our partnership with ESL is one of those key investments." 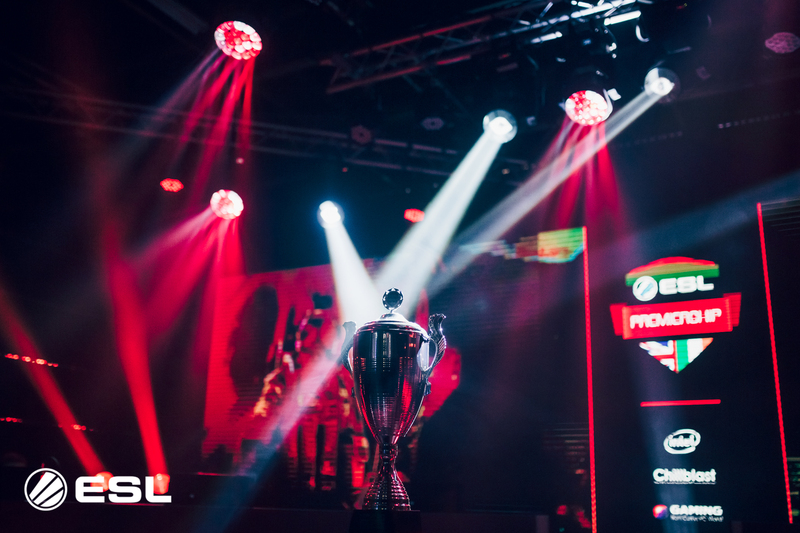 If you’d like more information on the ESL Premiership, follow @ESLUK on Twitter, @ESL.UK on Instagram and ESL UK on Facebook - and follow the #ESLPrem hashtag. The latest results, schedules, and broadcasts will be available soon.